Documented test results from UL, NIST, RICOWI, SPFA and others have all proven SPF’s superior capability to stand up to high-wind disasters and severe weather better than most any other roof system. Underwriters Laboratories tests show that SPF applied to steel and plywood demonstrated uplift load resistance greater than the capacity of the test equipment. NIST released a report on the damage that occurred to buildings. 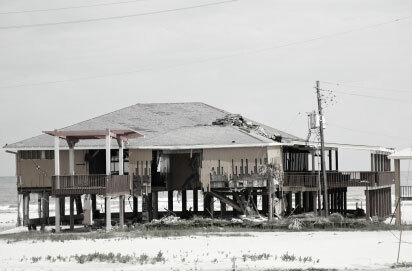 In a recent report by NIST on the damage from hurricanes Katrina and Rita, Spray foam roofs were the only type of roofing system described as having performed “extremely well.” NIST officials also described how spray foam roofing withstood Hurricane Katrina’s winds without blow-off or damage to the flashings.